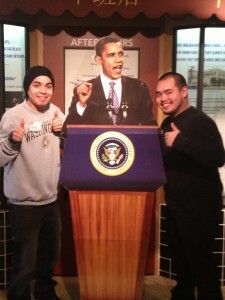 Andres Valdovinos and Muhamed Manhsour pose with Obama cutout. 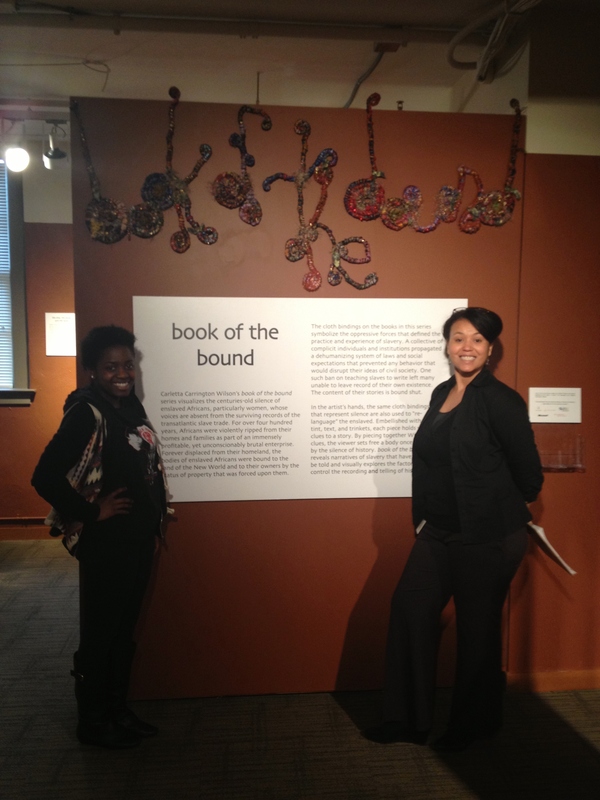 Last Monday, Professor Ralina Joseph and her Black Cultural Studies class participated in a Day of Service at the Northwest African American Museum (NAAM). 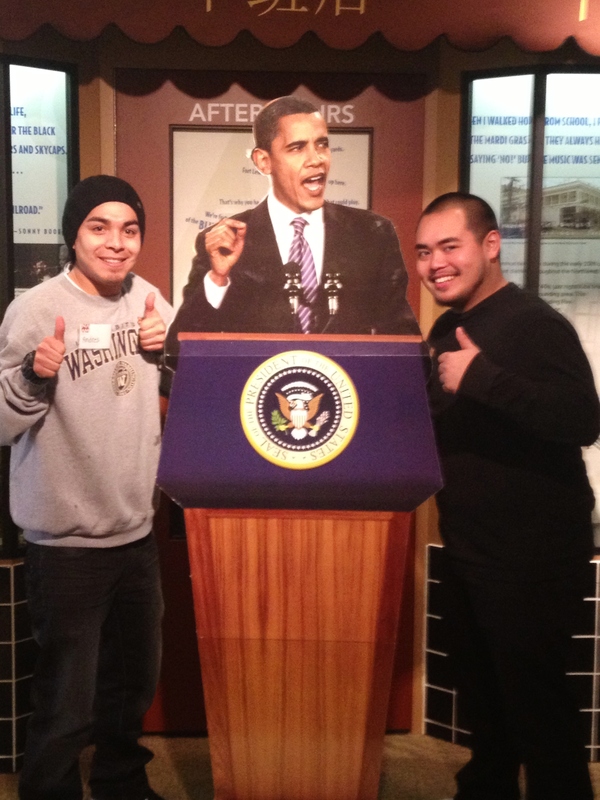 Marking the inauguration of President Obama’s second term and the celebration of MLK Day, the museum welcomed their help as they administered surveys, took photos with a cutout of Barack Obama, and assisted at the coat check, gift shop, exhibits and snack table. 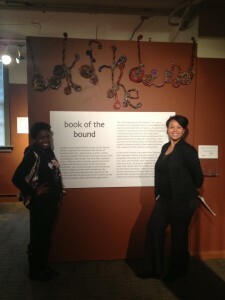 Thamar Theodore and museum staffer Leilani Lewis stand by the Book of the Bound exhibit. 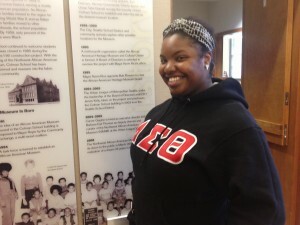 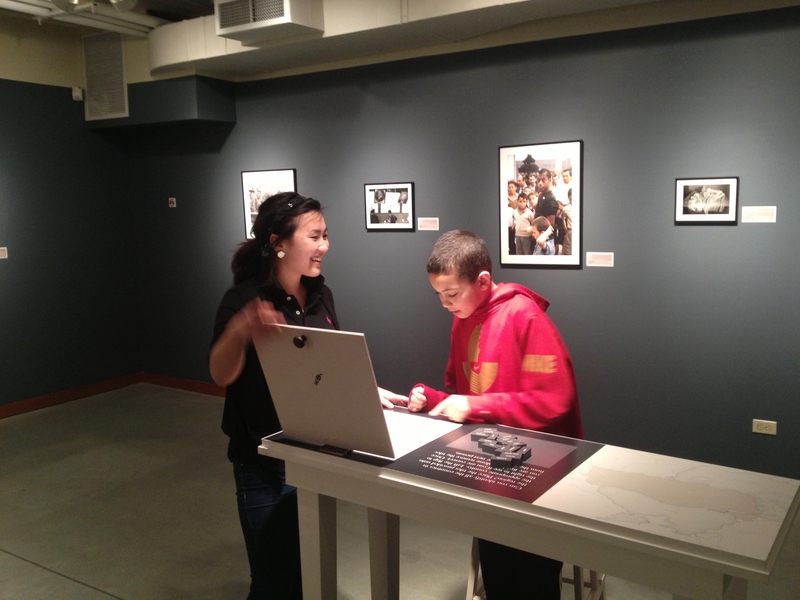 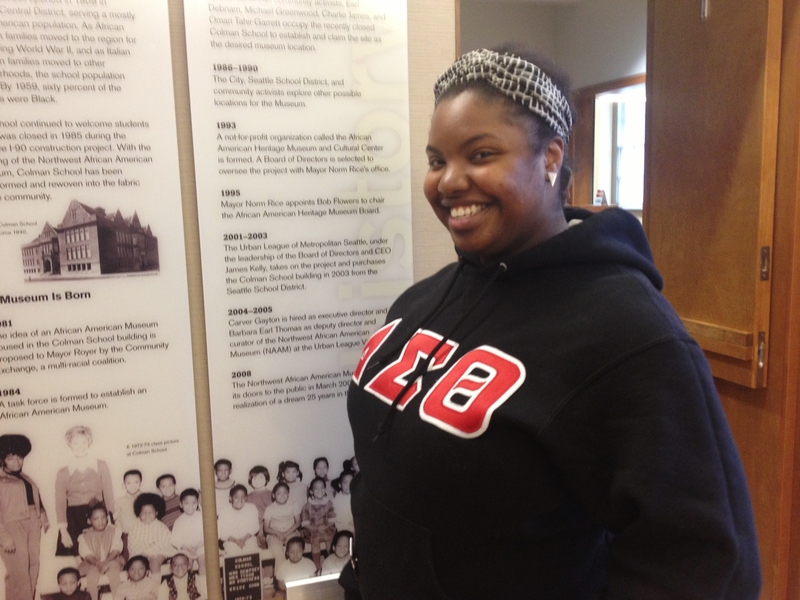 Sierra Stewart welcomes visitors into the museum. Hannah Oh helps Professor Joseph’s son.